I love Peeps!! All of them! But, they have to be stale! Look, I know, I am weird but once it is Peeps season I buy a package and open it and let those Peeps get hard!! About one week later, they are the perfect consistency! Even my family does this for me. 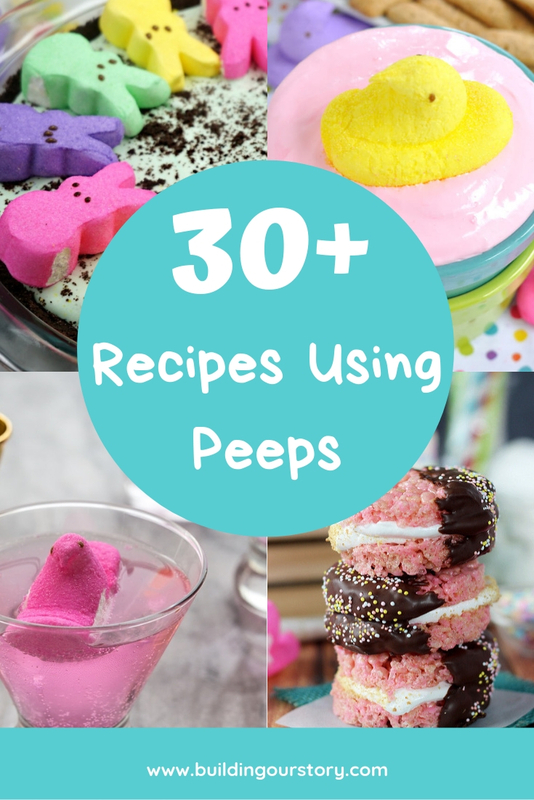 So, while we are talking about Peeps season I wanted to find some fun and creative recipes using Peeps. Ready to find the perfect spring treat for Peeps season?? It is hard to pick a favorite recipe from this list but what I love most about all of these creative recipes using Peeps is how colorful they all are! Oh, and I am sure they all taste amazing too! Give it to me straight…are you a Peeps eater? Thank you so much for including my Peep martinis and Peep Cupcakes in this round-up! I really appreciate it! !